“How was Santa Claus going to find the rabbits’ new home? Every season, we look forward to having an adventure with Fletcher. This winter, our friend finds himself helping his friends on a snowy Christmas Eve. Stick around to see if Santa finds his way to the rabbits’ new home! As Fletcher passed rabbits’ old home, he had a terrible thought, How was Santa Claus going to find the rabbits’ new home? He thought about how sad he would feel if he had to move from his cozy den. He thought about how the rabbits would feel if Santa Claus did not come. And then he thought about . . . arrows! Fletcher gathered sticks and soon Squirrel, blue birds, and mice began helping him put together stick arrows to make a trail to rabbits new burrow. They were not about to let their friends miss out on Santa’s visit. Once they were done, they enjoyed a cozy celebration at rabbits’ place. But when they opened the door to return home, the arrows were gone . . . completely covered by the unexpected snowfall! They made a promise to each other to stay awake so they could tell Santa where the rabbits lived, but once Squirrel curled in the cozy hollow of an oak tree, and the birds went high in the snowy branches of a fir tree, and the mice got in their toasty warm nest, they all, like Fletcher, accidently fell asleep. Thankfully when they returned to rabbits’ home Christmas day carrying gifts to make up for their mistake, Santa Claus HAD found his way to them. The rabbits were happy about their gifts, but most of all, they were thrilled to be with their friends that really cared about them. 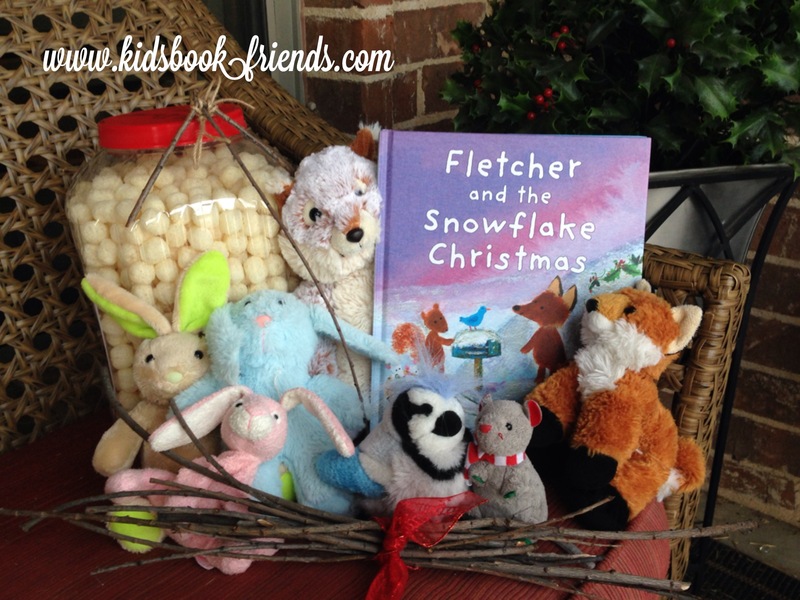 R- Can you relate to Fletcher’s concern about Santa finding the rabbit’s new home? Have you ever moved or traveled before Christmas Eve? Were you concerned that Santa would have a hard time finding you? Did you come up with a plan to let him know your new location? Did it work? I- Imagine you have to come up with a plan to help Santa find the rabbit’s new home. Besides stick arrows, what would you do to direct Santa to the right place? 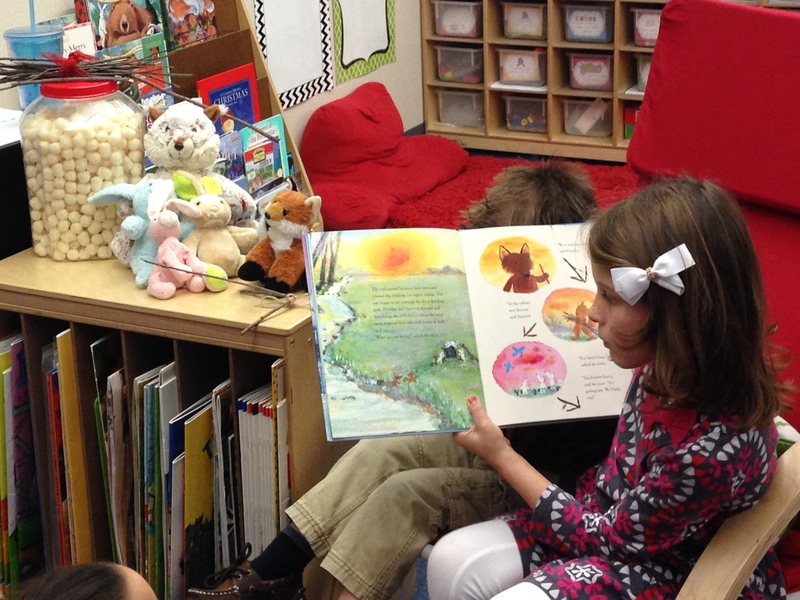 E- Explore snacks and stuffed animals to share with your audience while reading Fletcher: snowball cheese puffs (for snowflakes), pretzels sticks (for twigs), raisins and walnuts (for berries and nuts) AND a little furry fox, squirrel, blue birds, mice, (frog) and three rabbits. N- Navigate a path to a gift by making stick arrows and lining them up from your siblings’ or parents’ room leading the way to a special Christmas gift from you! 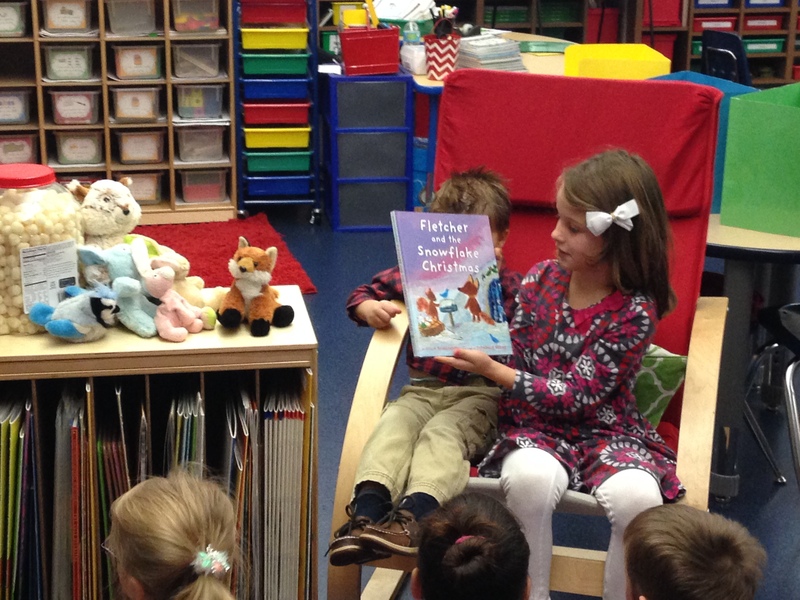 Here’s My Little Story Lady Sharing Fletcher with Her First Grade Class to Practice Her Reading Fluency! 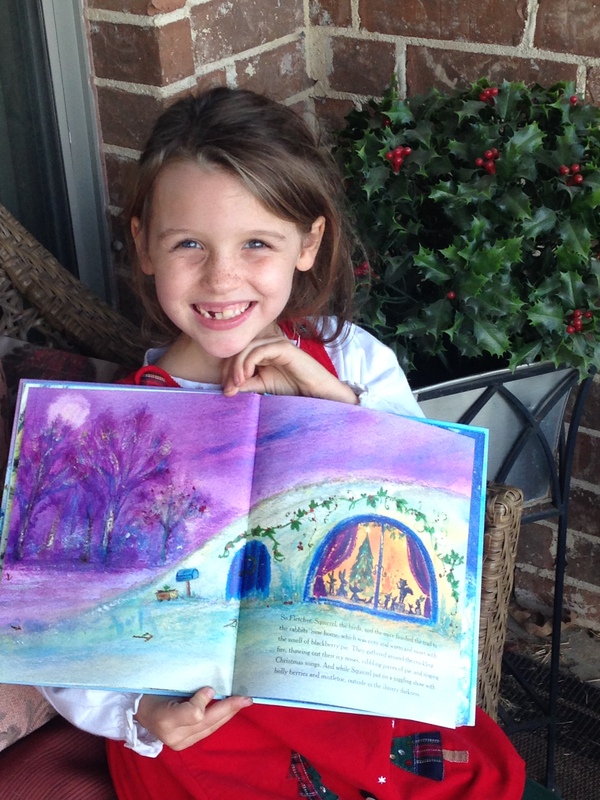 A Little Elf is Hiding Beside Her to Help! Website: Subscribe at http://www.kidsbookfriends.com to receive blog posts via e-mail. 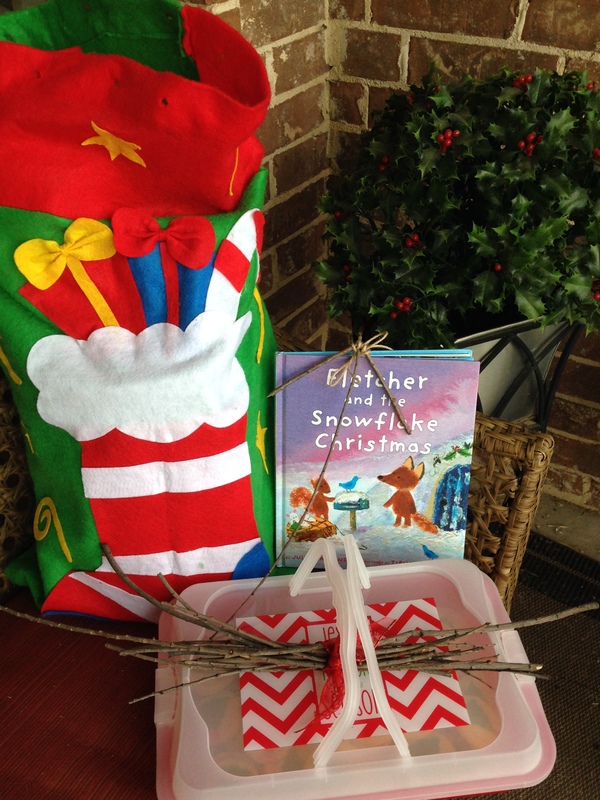 This entry was posted in Christmas, snow and tagged arrows, Christmas Eve story, Fletcher and the Snowflake Christmas, Fletcher the fox, Greenwillow Books, Julia Rawlinson, snow, Tiphanie Beeke. Bookmark the permalink.